The idea of working as a police officer has quite a lot of appeal for a number of reasons. For one thing, it offers a chance to help others and to try and make the world a better place. Also, law enforcement careers often offer salaries that can provide a relatively comfortable living. And in times of economic turmoil, ​criminology and criminal justice careers, in general, hold considerably more stability and job security than many other fields. In fact, there are tons of great reasons to be a police officer. For many, the question is not so much whether or not to work in law enforcement, but rather how to become a police officer. For those looking for help in getting their career started, here are some tips to get you off the couch and into a patrol car. First things first, make sure that a law enforcement career is, in fact, something you want to pursue. A day in the life of a police officer can be very trying, and the job most certainly isn't for everyone. Most officers are on shift work, which means the hours can be long and are often irregular. 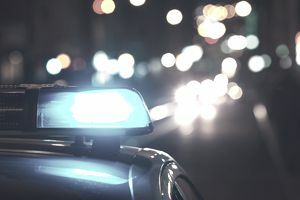 You will find yourself in difficult, uncomfortable and unpleasant situations often, and there is research to suggest police work may be hazardous to your health. It is not to talk you out of your career choice. Law enforcement is still a great profession. It's simply important that potential candidates understand that sacrifice is necessary and that there will be hard days and hard roads ahead. Nearly every law enforcement agency conducts some sort of background investigation on its applicants to learn more about their suitability for such an important career. Police and other public servants are necessarily held to high ethical standards, and thus agencies are looking to hire those people who already exhibit those behaviors that suggest a strong moral and ethical character. Once you've made a choice to pursue a law enforcement career, make every effort to live a life that is above reproach. Avoid using drugs and offensive behaviors, such as excessive alcohol use. Use a designated driver to stay safe and stay away from the potential for a DUI arrest. Be an exemplary employee at your current job. In general, be the kind of person you expect an officer to be, so you'll be in the best shape to make it past the background check. One almost universal requirement for working as a police officer is a high school diploma. When it's time to attend the police academy, you will be challenged both physically and academically. Agencies and academies alike need to know that you're up for the task, and one indicator of this is the ability to earn your diploma. If circumstances prevent you from being able to successfully complete high school the traditional way, a G.E.D. is an acceptable alternative. In any case, though, you will need to demonstrate that you have the ability to learn, comprehend and apply knowledge. Most departments across the country require that you have either some college education, prior military service, or experience in a job that required you to interact with the general public. Jobs that fit this bill can include working as a cashier or customer service representative, a job in loss prevention, or even waiting tables; as long as you can articulate that you had to deal with other people in a professional setting. If a law enforcement career is your goal, then you will want to have experience dealing with people in a variety of situations and you will want to build a strong knowledge base in order to help you think fast on your feet. There are few better ways to accomplish all of the above then serving in the military. Of course, you can never underestimate the benefit of a college education, so spending some time at a university may the best option for you. If college is the route you decide to go, consider earning either a degree in criminal justice or a degree in criminology. Other beneficial courses of study include psychology, sociology, and communications. There are thousands of law enforcement agencies across the United States at all levels of government, and there are countless departments around the world, many of which have unique missions and responsibilities. There are plenty of opportunities to work in a number of specialties within law enforcement, including animal control and enforcement, wildlife and conservation, marine patrol, traffic enforcement, general law enforcement, and investigative agencies. Take some time to research where you feel your interests and skills will suit you and your potential employer best, and pursue jobs at agencies that provide the best opportunities for you to excel. If your ultimate goal is to land a federal law enforcement career, be prepared for the probability that your future employer may want you to have some prior law enforcement experience under your belt, meaning you may want to get your foot in the door working as a state or local police officer for starters. It should go without saying that in order to land a job in law enforcement you'll have to apply for it, but it's something that is rarely considered. There are a number of ways to apply for law enforcement jobs now, perhaps the easiest and most convenient being the online application. Take care when filling out the law enforcement job application, though, because a lot of attention will be paid to your answers, particularly in how you articulate your education and work experience. In addition to the initial application, there may be a supplemental application required. This application will include far more in-depth questioning than the employment application. The purpose of the supplemental application is to get a better picture of the applicant's personal and work history to help determine her suitability for the job. In order to enter a police academy and get hired in law enforcement, you will often be required to take a written basic abilities test. This simple test measures your reading comprehension, cognitive reasoning, and problem-solving skills. The purpose is to make sure you have what it takes to successfully complete your academy training. The test is not overly difficult, but it would be wise to look over the sample questions and test overview that will probably be provided to you after you register for the test. Though you may not think it by looking at some officers, the fact is that physical fitness is an important component to any law enforcement career. Staying physically fit and living a healthy lifestyle can mitigate a lot of the stress that comes with the job, and reduce potential threats in what is already known to be a dangerous career. To help ensure you are physically capable of performing the duties of a law enforcement officer and the rigors of the police academy training, most departments require candidates to participate in some form of physical abilities testing. These tests may consist of an overall physical assessment which can include sit-ups, push-ups, sprints and a 1.5-mile run. In such tests, applicants are expected to perform at a certain level of fitness, sometimes varying depending on their age and gender. An alternative to the fitness assessment is the obstacle course, or physical abilities test, which requires applicants to perform a series of simulated job tasks within a certain amount of time. Such tests are often easier to pass than the fitness assessment, and the time required to pass is not typically dependent on the age or gender of the applicant. Many departments require their applicants to undergo a polygraph exam to determine their level of truthfulness. In most cases, the polygraph will serve to confirm the information that the candidate provided in the supplemental application. The polygraph will consist of a booklet in which the candidate will answer questions similar to those on the supplemental, along with the opportunity to explain answers that he may have concerns about or that they feel will be problematic. The applicant is then given the opportunity to talk about his answers with the polygraph examiner and go even more in depth with questions that make him nervous. After the questioning, the applicant is hooked up to the polygraph instrument and asked a series of "yes or no" questions for the purpose of detecting truthfulness or deception. It's important to remember that passing the polygraph involves more than just being truthful. If you have skeletons in your closet that could keep you from getting hired, passing the polygraph won't fix that; there are certain behaviors that agencies simply cannot accept, and there are several common background check disqualifiers that can preclude you from landing a job in law enforcement. Hiding those skeletons won't help either, because if you are found to have been dishonest at any stage of the process, you can be assured that you won't get the job. Like the polygraph, not every agency requires a psychological assessment. Those that do, though, consider it a very important component of the overall hiring process. The psychological assessment does not determine one's sanity, but rather their suitability for the job of a police officer. It takes into consideration the fact that officers face many difficult situations, and it simply provides another, independent, indicator of whether or not a candidate will be successful in a law enforcement career. In addition to the physical abilities assessment, you will probably be required to be examined by a doctor to make sure you are not only physically fit enough to do the job, but also physically healthy enough. Unlike the abilities assessment, which determines fitness, the medical assessment makes certain your body, heart, and lungs are up for the task. In addition, you will probably be asked to take a separate eye exam to check for depth perception, color blindness, and overall vision. Generally, it is expected that your vision be correctable to 20/30 or better. Whether the police academy comes before or after the hiring process, you're going to have to get through it. From the first day at the police academy, life is going to be tough one way or another. The academy consists of several weeks and even months of specialized training in areas like firearms, defensive tactics, law and legal concepts, report writing, first aid and criminal and crime scene investigation. Physical fitness will also play a strong role in your academy training, so staying in shape during the hiring process will serve you well. Along the way, you will likely be required to take several tests. Failing to achieve a passing score in any one academic or practical area will often result in your failing the entire academy, so developing good study habits will be vital. The learning doesn't stop after graduation from the academy. There's still the field training program to get through. Field training is really where the rubber meets the road, where you truly find out if the job is for you and where your department finds out if you're right for the job. During field training, you will learn about what it's really like to work on the street. You'll be required to take on progressively more responsibility as you are evaluated on every aspect of the job, from your investigative abilities to your observance of officer safety and everything in between. Of course, once you've finished field training, the real learning begins, as you get real on-the-job training patrolling the streets on your own. There are a lot of steps to climb and a lot of hoops to go through to become a police officer. Rest assured, though, that the job is well worth the effort. The rewards, both tangible and intangible, will make for a satisfying career that both you and your family can be proud of.